— captured through a special imaging technique. Momentum of the strokes from the chemical reactions exquisitely exposed. to withstand the weight of multiple gadgets. the limited space on board. boasts an overwhelming storage capacity. smarter even while carrying a load. even when it is not in use. TEATORA’s original opening and closing system: “Capsule-snap”. to be more active and worry-free. maximum performance as creators utilize the device. fit for your field of creation. 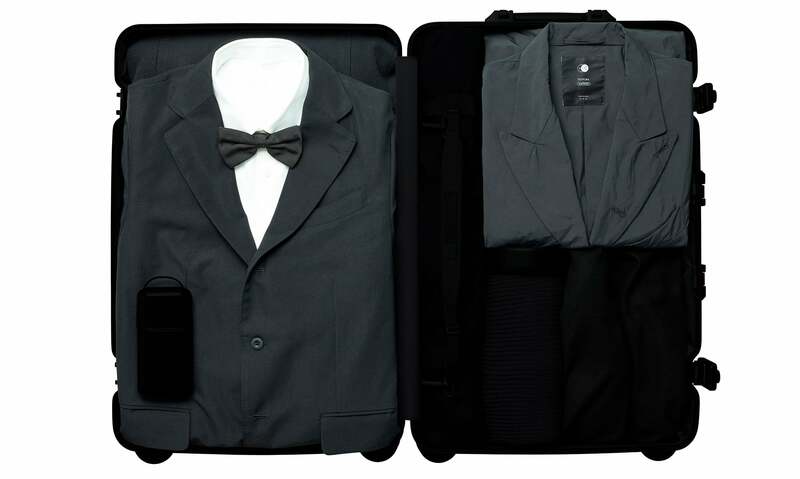 Jacket with compactness — on the journey back, aside luggage, anytime during your journey. The high-strength nylon string furnishes a fine cotton-like feel, yet with a silk-like tensile strength. A coat is picked according to cold outdoor temperature, though entering train or department store generates sweaty body. Dual point series provide comfort to winter with such urban temperature differences. For instance, lets situate the interior temperature of JR East train carts to be set at 22 °C. This is equivalent to average temperature in June referring to average temperature in Tokyo. Average lowest temperature in January in Tokyo is 2.5°C. Shops and offices being overheated will easily exceed this temperature difference. However, winter outwears being warm is an unchangeable fact. Dual point series of TEÄTORA is a series developed under the concept of adjusting to extreme urban temperature differences: outdoors coldness to indoor heat. Special insulation used in dual point series is KOMATHERMO from Komatsu Seiren Co., Ltd. In shopping situations of having to carry a coat, heavy and bulky outwear that protects us from winter coldness, converts from protective existence to obstructing baggage. KOMATHERMO from Komatsu Seiren is overwhelmingly thinner than conventional insulations and on top of that does not have the conventional flare. 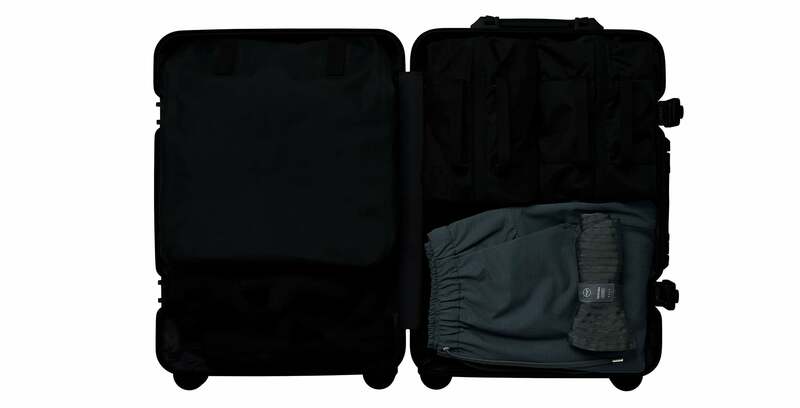 This allows jacket to be compactly wrapped up and stored in a bag. Contrary to its thinness, it provides high heat insulating property along with hydroscopic heat generating function. Its densely brushed layer forms layer of dead air that boasts higher insulation function. Not only that, combination of the characteristics of thread itself and special scientific treatment react to body temperature, raising maximum of 2°C. Its antistatic property reduces amount of static electricity that tends to charge up when worn. *Antistatic performance varies depending on humidity of the environment. Tech OFFICE PLUS series developed from a concept of facilitating situations that entail manner. In various public areas, business scenes, ceremonial occasions, Manner is an inevitable component. We encounter situations where temperature is unable to be adjusted. yet valuables need to be kept secured despite cloak usage. The outer layer of Tech OFFICE series is extremely classical. However, it is packed with features unimaginable from its smart appearance once you cast a look inside. A gear that stores items from an iPad to paper documents, freeing your hands in any circumstances, as it adjusts inner temperature to comfortable level of 32°C. OUTLAST adopted for inner textile is a textile that was developed for NASA. This material was made for internal temperature adjustment of space activity suits to maintain at 32°C—the temperature human skin feel most comfortable with. OUTLAST always aims for 32°C, keeping ideal inner temperature. 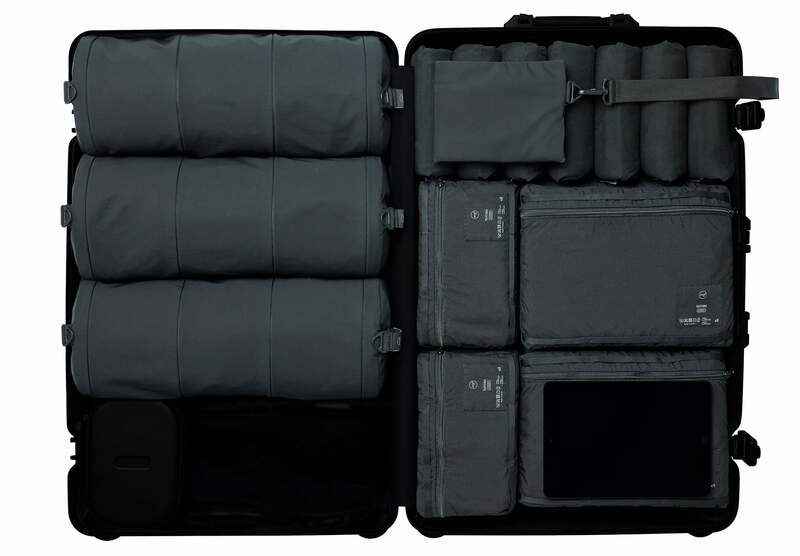 DEVICE COAT boasts an overwhelming storage capacity. Easy access to its dynamic storage conveniently frees your hands, making your journey smarter even while carrying a load. Beautiful pattern work based on ergonomics. breathability, and comfort to enhance your creative output. from extreme urban temperature differences. For instance, lets situate the interior temperature of JR East train carts to be set at 22°C. in the 'sitting' position been so common. A functional garment developed for all professionals. the wallet pants enable comfortability. Forget carrying a bag just for valuables. ensuring safety for your journey. Even in a limited cabin space, its durable elasticity and powerful kickback enable a comfortable range of motion for every movement. Tech OFFICE series developed from a concept of facilitating situations that entail manner. Workwear manufacturer for creators battling in work chairs. and even the toughness of jeans, all are in this pair of bottoms. How many hours do you work sitting at your desk every day? Does the pair of slacks, dress, or skirt you wear during this time possess the qualities required for these long hours? At no time since the dawn of history has work in the 'sitting' position been so common. evolved since slacks were born nor since jeans were developed, in terms of functionality. TEÄTORA is a workwear brand for modern creators. Redesigning the concept of bottoms. Researching the environments of modern creators. Reimagining the relationship between the human body and the work chair. Our pursuit of refined design and ultimate comfort led to introduction of completely new bottoms.